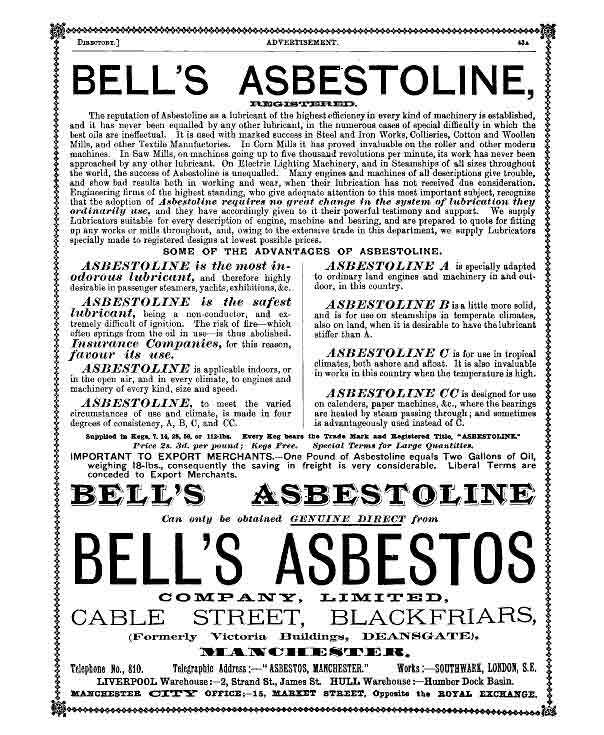 c.1880 after the formation of the United Asbestos Co, John Bell acquired samples; he then sought advice from a Lancashire cotton spinner and weaver, Samuel Turner, who entered an agreement to supply woven asbestos to John Bell. 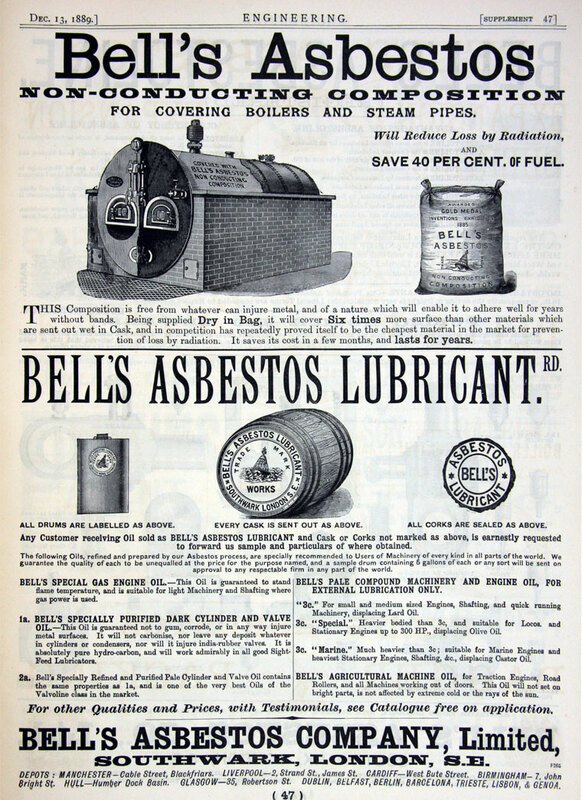 When that agreement came to an end, Turner Brothers Asbestos Co entered the market as competitors. 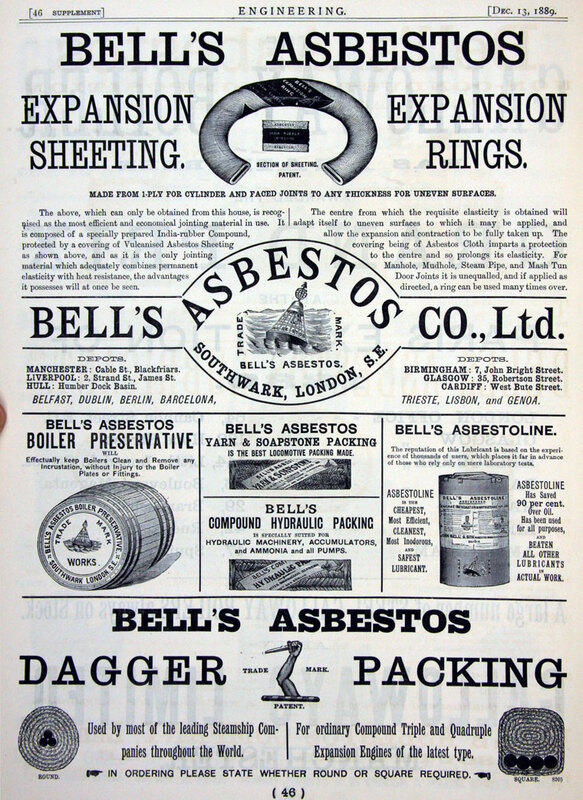 1888 Bell's Asbestos Co was incorporated as a Limited Company to carry on the business of asbestos mine owners and manufacturers of John Bell and Son. 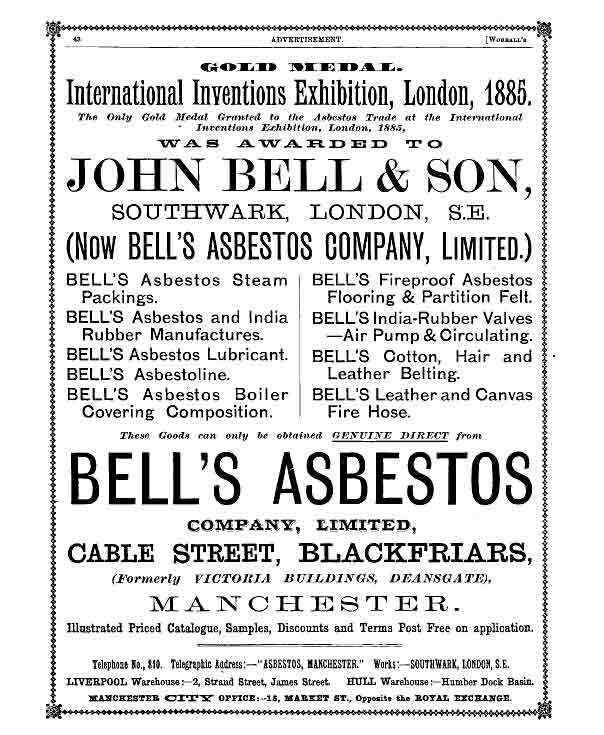 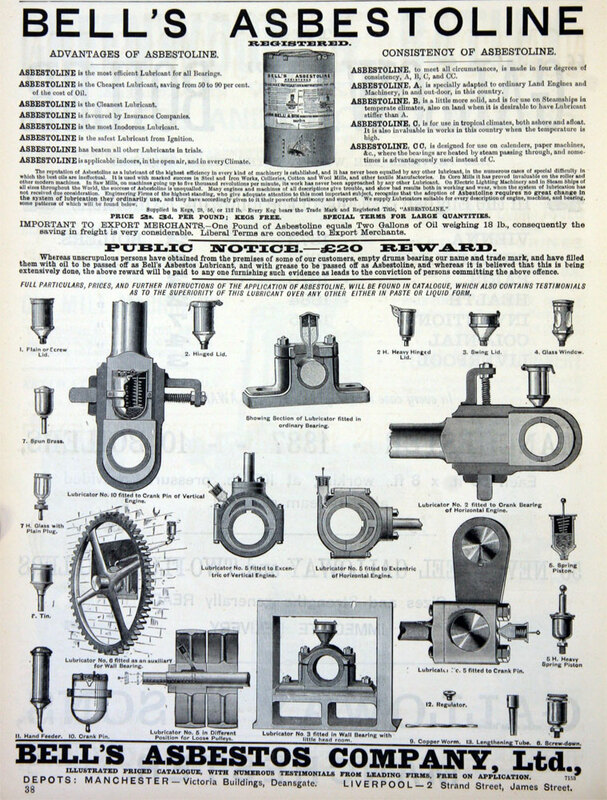 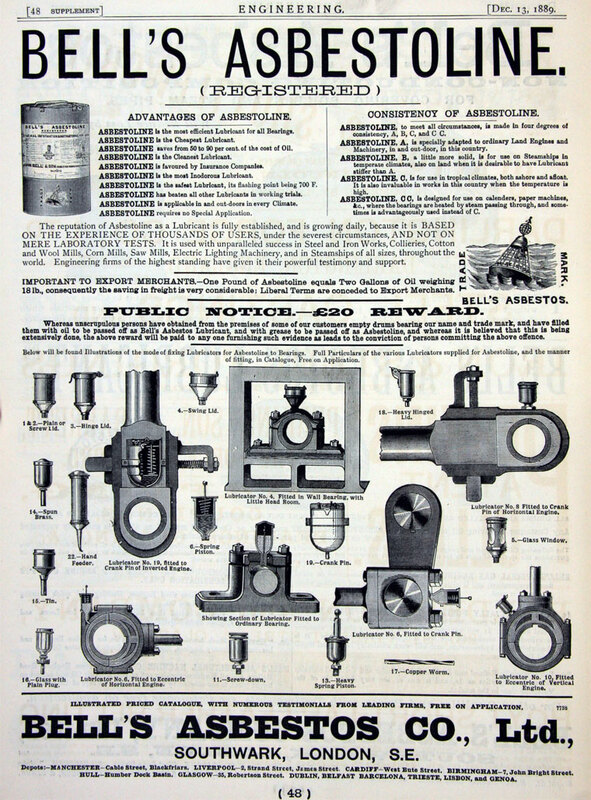 1888 The company was registered on 4 May, to take over the business of John Bell and Son, manufacturers of asbestos in all the forms used in steam engines and electric machines, together with freehold deposits of asbestos in the province of Quebec, Canada. 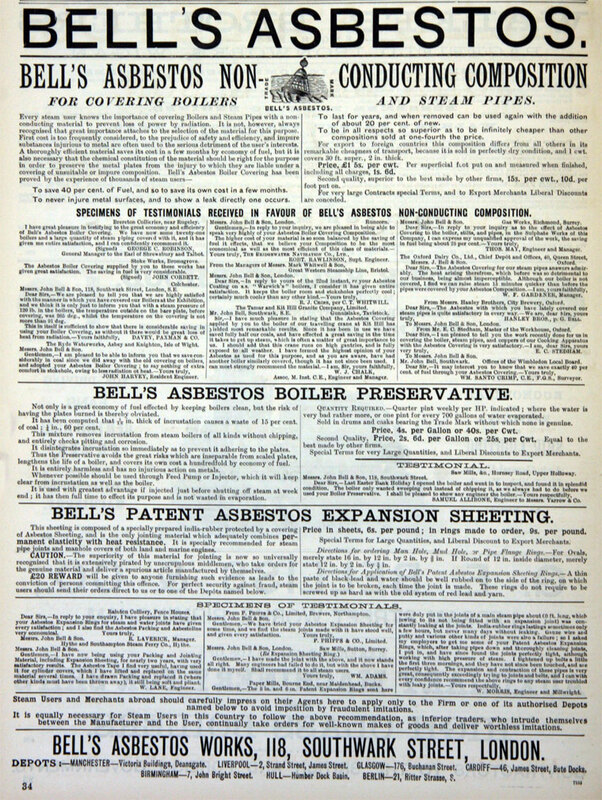 1909 Merger between Bell's Asbestos Co and United Asbestos Co to form Bell’s United Asbestos Co. 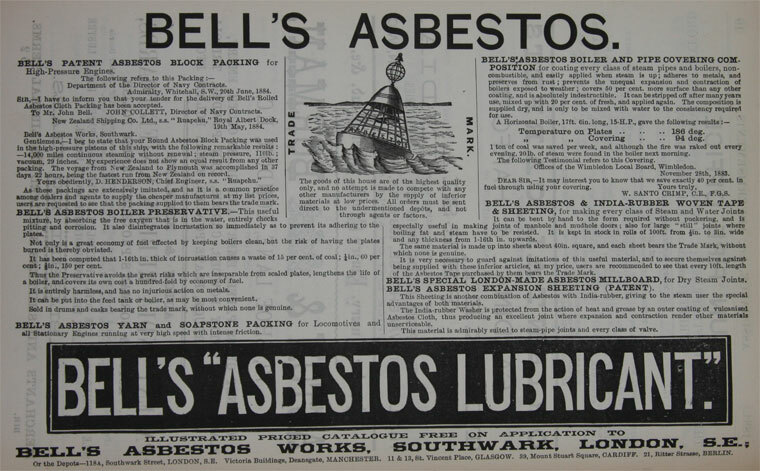 This page was last edited on 1 January 2019, at 14:30.